We arrived in the pretty little village of Robe late yesterday, but more about Robe tomorrow. Today we went for a drive to Kingston SE which is about 44kms from where we are staying. Kingston SE has a population of around 1500. The extension of SE on it's name is to distinguish Kingston in the South East (of South Australia) from another Kingston in the state which has also changed it's name to Kingston on Murray. Kingston SE is another location in Australia that has one of our iconic "Big Things". The "Big Lobster" was originally conceived in the mid 1970's by a local lobster fisherman. It is said that the final size of the structure was the result of an accident. The plans for the Big Lobster were provided to the builder in feet, but he misread the measurements and used metres instead, resulting in a three-fold increase in size. 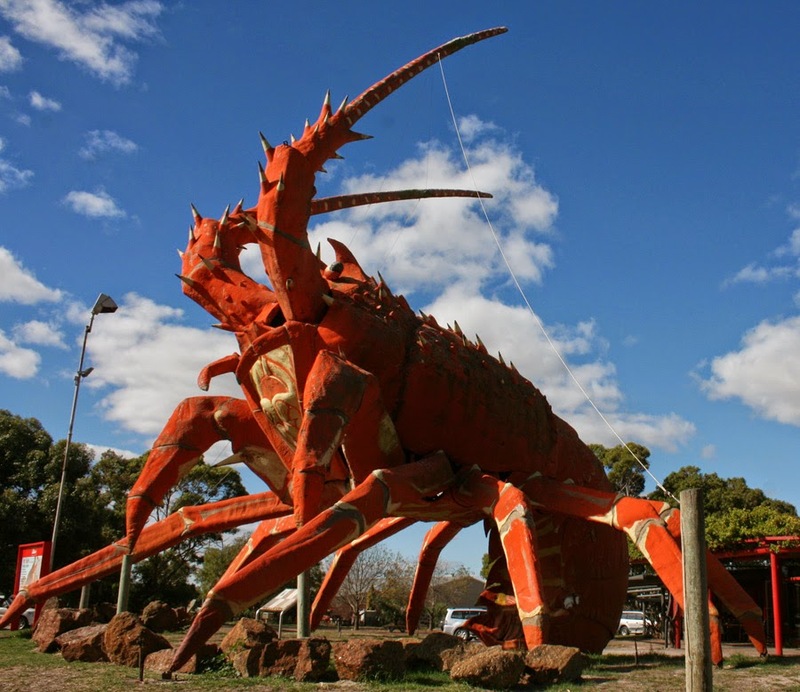 The Big Lobster is 17 metres high, 15.2 metres long and 13.7 metres wide, with an approximate weight of 4 tonnes. Then it was across the road to the "Sundial of Human Involvement". The Human Sundial is only one of a few in the world that are truly interactive with people. By reading the directions and standing in the correct place, the time of day can be determined. 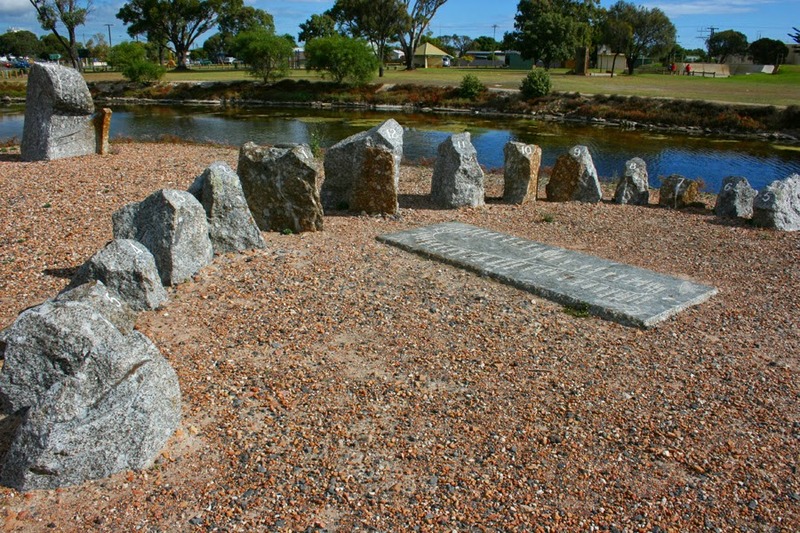 Each piece of granite represents an hour marker. From time to time Kingston SE has the pleasure of a visit from sea lions. It is believed they come ashore to rest up after being involved in a storm. 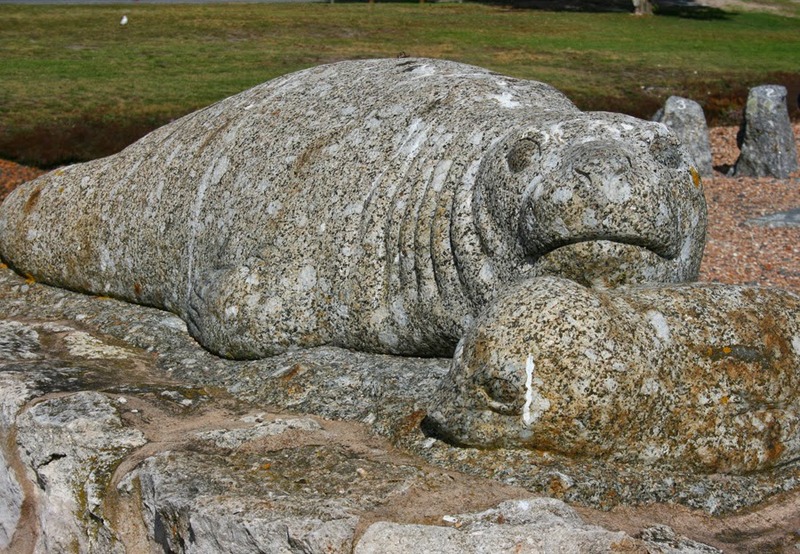 These amazing granite sculptures were created by the world renowned artist Silvio Apponyi. 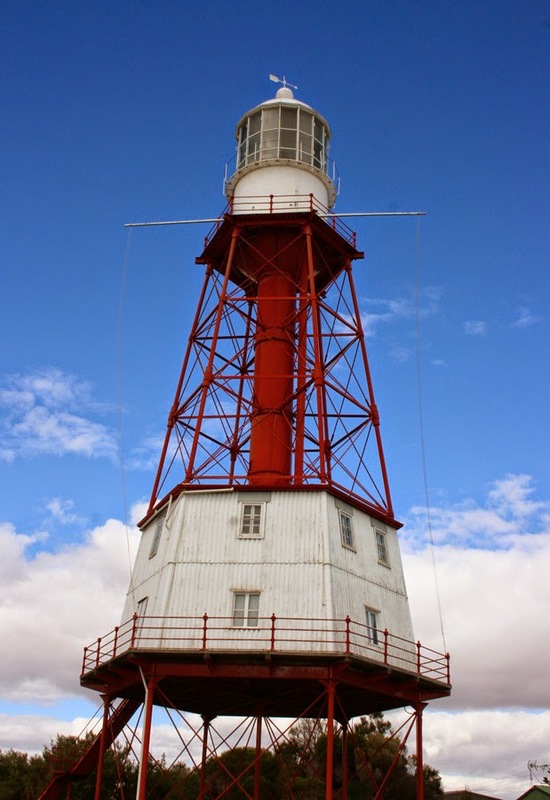 The Cape Jaffa lighthouse was built in 1868-1872 on Margaret Brock Reef, 8 km from shore and 19 km south from it's current location. The lighthouse, which has an unusual steel frame, also included an eight bedroom house. One of the magnifying lens weighs 2 tonnes. It was the first lighthouse on the Australian coast to be dismantled and brought to the mainland.